Luther Strange tweet shows he knew in advance about Jeff Sessions' firing as U.S. attorney general, casting curious light on corruption in our federal "House Case"
Former U.S. Sen. Luther Strange (R-AL) knew last week that Trump Attorney General Jeff Sessions (R-AL) had been fired, roughly two hours before the news had been released in the press, according to a report at the Washington Examiner. Is this an oddity, of little or no import? We think it is much more than that, adding to the mountain of evidence that federal courts in Alabama are a nauseating sewer. Specifically, the new evidence suggests our "House Case" was decided by a trial "judge" -- R. David Proctor, in the Northern District of Alabama -- who issued an unlawful dismissal against us, even though he was disqualified from hearing the case. On top of that, we recently have uncovered evidence of a massive cheat job on the "House Case" in the 11th Circuit Court of Appeals, driven by a Gerald Ford-appointed fossil named Gerald Bard Tjoflat and a fellow named David J. Smith, who serves as clerk of the 11th Circuit. We will have much more on the crooked actions of Tjoflat and Smith in upcoming posts. In short, their misconduct at the appellate level -- along with Proctor's "handiwork" at the trial-court level -- likely amounts to"fraud on the court," requiring that all orders be declared void, and the case reopened. Former Sen. Luther Strange, the Alabama Republican who filled Jeff Sessions' seat when he became U.S. attorney general, suggested Alabamians elect Sessions back to the Senate just before news broke Wednesday afternoon that Sessions had resigned from the Trump administration. It had been rumored for some time that Trump would push for Sessions' ouster from his position leading the Department of Justice. Trump often vented about his frustrations with Sessions after the attorney general recused himself from overseeing the Russia investigation. Strange was defeated in the Republican primary by Roy Moore, who lost in a special election last year to Democrat Doug Jones. The Democratic senator is up for re-election in 2020. Sessions made no mention of what his future holds in his resignation to the president. Sessions served as a senator from 1997 to 2017, resigning from that position to be attorney general. We've already shown that Sessions and Proctor have been scratching each other's backs in unscrupulous ways for more than 20 years. Now, we learn the Sessions and Strange camps are so close that one knows what's happening with the other before everyone else does. How does all of this connect and lead to unlawful rulings in our "House Case"? One of the primary connectors is Jake Proctor, the judge's son who seems to bounce from one U.S. Senate job to another -- which is pretty tall cotton for a guy who only completed his undergraduate degree at the University of Alabama in 2016. Here is what we know about Jake Proctor's work history, before he scrubbed most of it from his Facebook page after we challenged his father's bogus rulings in the "House Case." (1) Jake Proctor went to work for Jeff Sessions in summer 2015. (2) Jake Proctor, while completing his degree, worked off and on for Sessions, apparently until the latter was nominated as Trump's attorney general on Nov. 18, 2016. (3) Pre-scrubbing, Jake Proctor stated on Facebook that he went to work as a staffer in the U.S. Senate on Jan. 3, 2017. 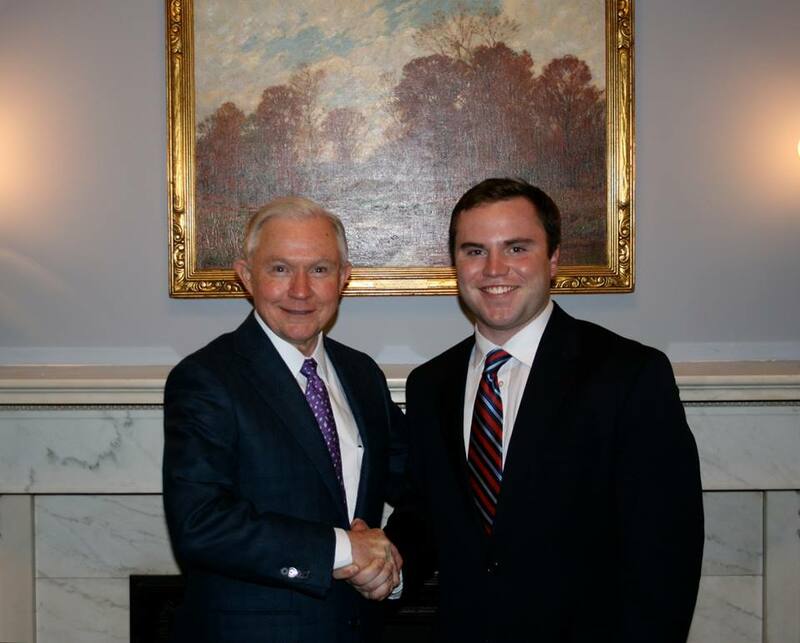 (4) Jake Proctor'sFacebook post did not say who he would be working for in the Senate, but why would he take a job with Jeff Sessions, who already was in line to give up his seat for the AG job? (5) Alabama Gov. Robert "Luv Guv" Bentley did not formally appoint Strange to fill Sessions' Senate seat until Feb. 9, 2017 -- roughly five weeks after the date Jake Proctor said he went to work in the Senate. (6) We now know the Strange and Sessions camps have inside dope on each other, raising this question: Did Luther Strange know roughly five weeks in advance that he was going to be Bentley's choice for the Senate seat, and one of his first acts -- likely at Jeff Sessions' urging -- was to hire Judge R. David Proctor's son? The evidence strongly suggests the scenario, in fact, played out this way -- and Judge Proctor knew all about it. 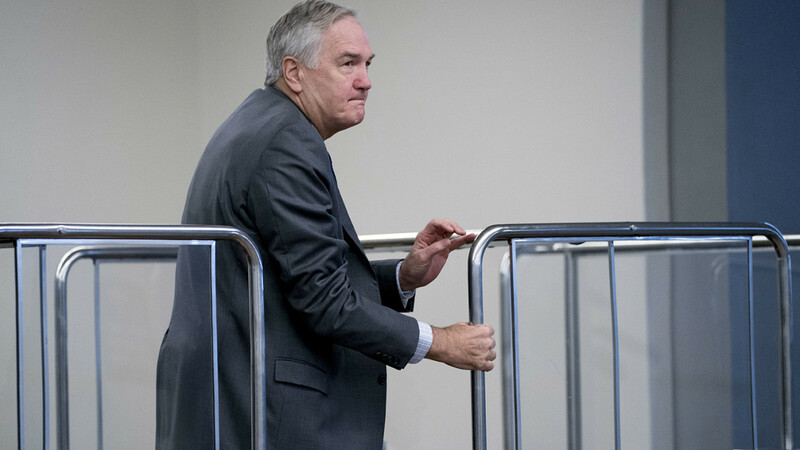 On February 10, 2017, approximately four weeks after the court’s dismissal order was entered, Luther Strange, a party-defendant in this action before its dismissal, was sworn in as Alabama’s newest United States Senator. One of Senator Strange’s initial hires is a young staffer who worked on Senator Jeff Sessions’ staff (until then Senator Sessions’ appointment as the 84th Attorney General of the United States) and who is related to the undersigned. Based upon these events, which occurred after the court’s dismissal of this action, it is appropriate for the undersigned to RECUSE. What are the chances that Judge Proctor is lying here? I would put them at 99 percent, given that his own son stated on Facebook that he was working in the Senate as of Jan. 3, 10 days BEFORE the "judge" dismissed our case -- and that raises the serious issue of "fraud on the court." How would Judge Proctor react to a motion for an evidentiary hearing on his son's Senate employment? Probably not very well. * Proctor says Strange hired "a young staffer" who is "related to the undersigned," but he does not state the staffer's name (Jake Proctor), and he does not state the nature of the relationship (father-son). * Proctor states twice that events involving his son's hiring came after he had dismissed our case. But that runs counter to Jake Proctor's own words on Facebook, which now have been well scrubbed. It also implies that he could not know in advance about machinations involving Sessions and Strange, when Strange's tweet last week shows that is not the case. Again, how about an evidentiary hearing on this issue? * Even if Judge Proctor's version of events is accurate, that does not preclude a conflict of interest involving Luther Strange -- one the "judge" knew about long before our case ever landed on his desk. For example, has Jake Proctor used Luther Strange as an employment reference, and has the former senator helped him get various jobs? That would mean Judge Proctor was disqualified from our case and ruled unlawfully on it, anyway. * Jake Proctor says he went to work as a Senate staffer on Jan. 3, 2017, but Luther Strange was not appointed to the Senate until more than one month later. Was Jake Proctor working for Sessions, even though the latter already had been nominated as Trump's attorney general, and then switched to Strange? Did someone know, well in advance, that Bentley was going to appoint Strange to fill Sessions' seat, and that made Jake Proctor comfortable about getting an early start on the job? * Judge Proctor claimed in his recusal order that he dismissed "The House Case" before the issue of his son's employment with Strange came up. But if Jake Proctor was working in the Senate on Jan. 3, and his boss was Luther Strange, that isn't true. To be precise, Judge Proctor dismissed our case on Jan. 13, 10 days after his son went to work for somebody in the Senate. The latest version we can find of Sessions' Senate staff directory does not list Jake Proctor -- and one wonders why Sessions would make a new Senate hire when he knew he had been nominated as attorney general. All of that suggests Jake Proctor went to work for Luther Strange on Jan. 3 -- before Strange formally had been announced as Sessions' successor -- and Judge Proctor flat-out lied in a court order. Either way, a disqualified judge decided our case -- and that isn't a matter of discretion for Proctor; a disqualified judge must step down, and he didn't do it. This much is clear: Sessions, Strange, and the Proctors swim in a world of white entitlement. And thanks to Luther Strange's recent tweet, we know that's a world where the entitled learn about events before the rest of us.